Once you’re approved for a non-recourse loan, you can truly begin thinking about your rental property. You’ll start thinking about its purpose, who it’s going to serve, and all the ways that you’re going to prepare it. The list of things to get your rental property ready is a mile long to say the least, but it’s fun and exciting all the same. At this point, many people start wondering if working with a property management company is a good decision. Our non-recourse loan lenders are here to weigh in. Take a look at some of the pros and cons of working with a property management company, and apply for a non-recourse loan today with First Western Federal Savings Bank! A property management company might be your best bet. They can take care of many of the responsibilities that come from being a property owner. If you don’t think you’ll have time to drop everything as needed to respond to your tenants, if you’re not sure you’ll be able to schedule home improvement checks (like plumbers and HVAC specialists), if you are too far from the property to meet with prospective tenants, this is probably a sign that a property manager is in your best interest. You should likely consider hiring someone to manage your property. As a note, your non-recourse loan does not cover these costs, nor does it cover any sweat equity (we’ll get into that in a minute). Oftentimes, investors have a rental property in a great location that’s further away from their actual home. It can be difficult to respond to long-term tenants if you’re not very close to the property (nor have the time to respond in the first place). A property management company can deal with things as they come up, and are much more proximal to the property itself. You might find more success in managing the property yourself. As we started to discuss in our last point, sweat equity isn’t permitted. This means that you can’t perform your own labor or tackle some DIY projects at your rental property — all repairs and improvements need to be hired by a third party. While hiring labor for these projects might seem expensive, it is still likely going to cost significantly less than working with a property manager. 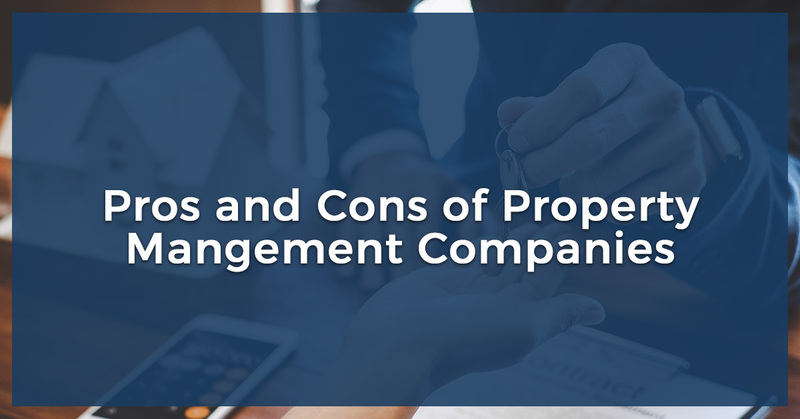 These companies extract lots of fees for maintaining properties, so your revenue might not be as high as if you took on the management yourself. These are all some things to take into consideration when you’re renting out a property. The verdict on property management companies? It all depends on your situation. There are some definite benefits to working with a property manager, but for others, the benefits might not be greater than if they took on the responsibilities firsthand. But before you get started thinking about a property management company, make sure you apply for a non-recourse loan with First Western Federal Savings Bank today!